No More Hell To Pay is the album I’ve been waiting for Stryper to put out! Since 2009’s mediocre hard rock Murder by Pride, Stryper has released a fantastic covers record and an album of re-recorded classics. Both albums featured new songs that made me want Stryper to release a full-legnth full of new material. It was clear from those new tracks that the band had the chops to deliver great hair metal still and that what the band had tried to reinvent themselves into was gone and replaced by what I love about Stryper. Well, the yellow and black attack is back and No More Hell To Pay is the album I’ve been waiting for. Revelation has a killer opening riff and is an anthemic hard hitting power ballad. 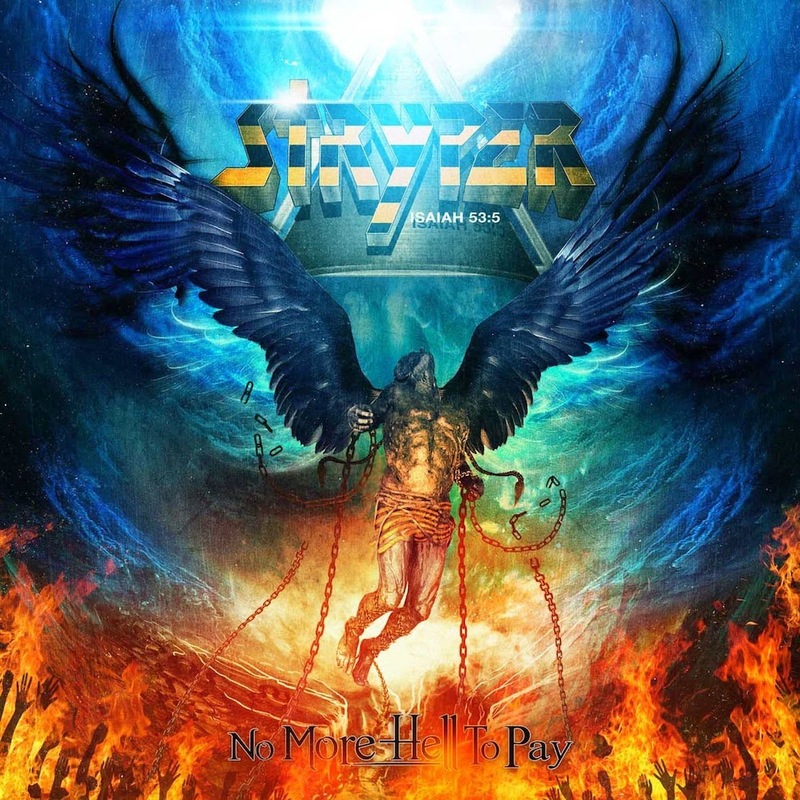 It’s a tease of what’s to come.No More Hell to Pay is the latest in Stryper’s great anthem, right up there with Soldiers Under Command and To Hell With the Devil. Saved By Love is a fast trashy song. And then we get the album’s lone misstep. Stryper’s cover of Jesus Is Just Alright. This might be the only time these words are spoken…. DC Talk did it better. The One is a nice little ballad. Marching Into Battle has all the makings of some of Stryper’s hard rock days but the band finds a way to 80’s it up. The lead guitar riffs are excellent. Te Amo brings back the glam rock goodness. Sticks and Stones has a great hook and feels like a Stryper song from their glory days. The leads on Renewed are some of the best on the album. Minus the cover of Jesus Is Just Alright, No More Hell To Pay is an excellent metal record top to bottom. It’s what Stryper fans have been waiting for. And they’ll be glad it’s finally here.